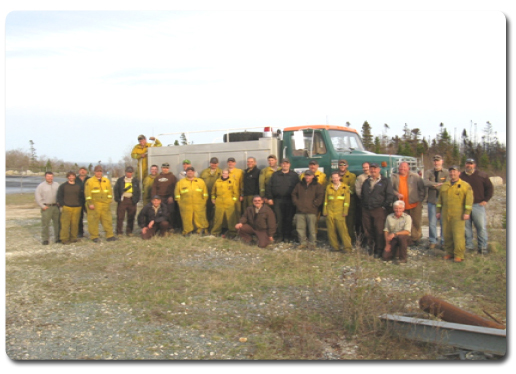 Nova Scotia Department of Natural Resources hires seasonal fire fighters annually to combat wildfire. Each district has a range of fire crew personnel ranging from 3 to 5 during the fire season. All wildland fire fighters must pass a minimum physical fitness test which entails walking 2 miles while wearing a 25lb weighted vest. NSDNR is also a member of the Canadian Interagency Forest Fire Centre and is capable of exporting crews to other jurisdictions. To be exportable, crew members must be part of the Sustained Action Team and complete the Canadian Physical Performance Exchange Standard for Type 1 Wildland Fire Fighters (WFX-FIT).